It has to be creamy and silky smooth. It can’t be sugary or grainy! This fudge will pass that test . . . I promise. 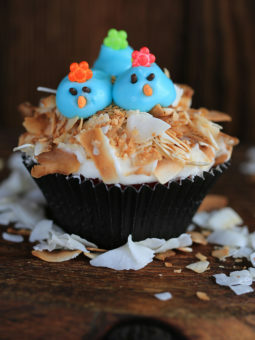 I originally posted this recipe around Christmas time, when all the candy recipes come to the surface. I’ve had several emails from some who love Fudge, but can’t make fudge . . . and have asked for help! 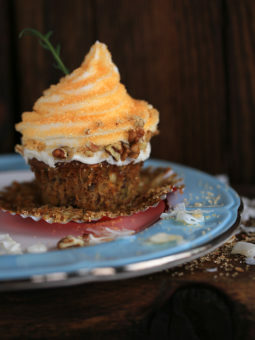 Since I only posted the recipe, I thought I would see if a few pictures could – or would make a difference for you. I’ve decided that it’s very difficult to get a good picture of FUDGE. It might not look it, but this fudge recipe is silky smooth, and it simply melts in your mouth. You certainly don’t have to add the nuts, but in this house . . . we love nuts. 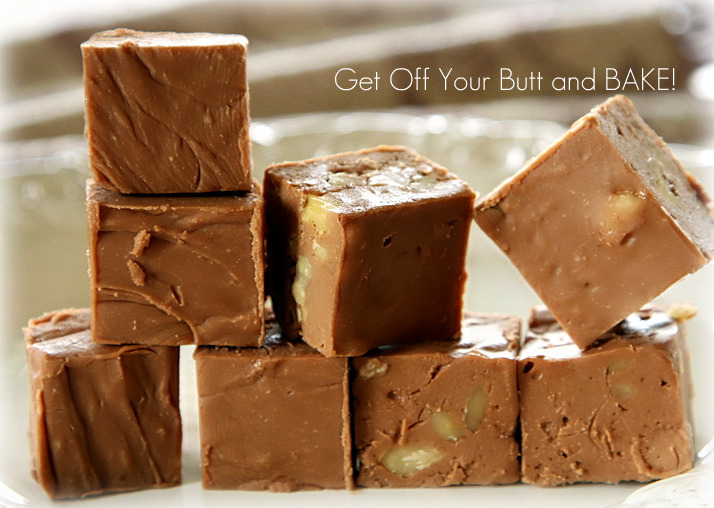 There are a few simple rules to making good fudge, and hopefully this tutorial will help. 2. Mix the cream and Sugar together over medium heat – stir continually. 4. 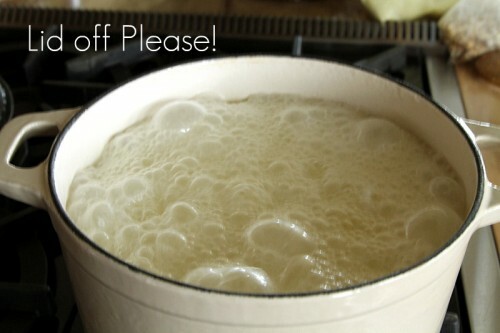 Once the mixture comes to a full boil, place the lid on tightly for one full minute – time it. When you take the lid off after one full minute . . . It will look like this. 5. After you have removed the lid – place a good thermometer in the pot. IMPORTANT!! – DO NOT STIR NOW…..AT ALL! 6. While it’s cooking, break your chocolate bars up into a large bowl. *I like to place another pan inside the dish, so it helps to flatten our the parchment paper. 9. You can just get your hand mixer ready as well. When the butter/cream mixture is at 228-230 degrees, (perfect with my thermometer) . . . Remove the pot from the heat. DO NOT STIR! . . . at all. Note: Soft-ball stage is (234 F. to 240 F.) When dropped into very cold water, forms a soft ball that flattens between your finger. To check your candy thermometer for accuracy, put the thermometer in water and bring to a boil. The thermometer should read 212 degrees F. If the reading is higher or lower, make the necessary adjustment when making the candy. The thermometer should stand upright in the candy mixture. The bulb or the tip shouldn’t rest on the bottom of the pan. If you don’t have a thermometer, do the cold water test. 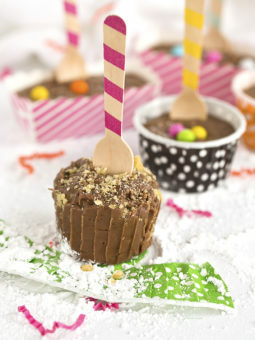 With a clean spoon, drop a small amount of candy mixture into a cupful of very cold water. Add the 1 cup of butter (2 sticks) and 1 tsp. Vanilla. After the 1 minute has passed – pour that mixture into your bowl with the broke up Chocolate pieces. *This is very vital in fudge making – you don’t want any sugar particles from the sides of that pot. JUST POUR IT IN – DON’T SCRAPE THE SIDES. Now you can beat it until is very smooth and creamy. About four to five minutes. Taste it…..is is silky smooth? If so, then it’s ready to pour into your greased or parchment lined pan. UNLESS . . . you are adding nuts. I like to do half and half. I don’t use two pans, I simply pour the plain fudge into the dish and tilt the pan slightly so that it stays to the left of the pan. THEN . . . ADD NUTS TO THE REMAINING FUDGE. Once the fudge is settled into the dish, cover it with Saran Wrap and then foil. I like to place mine in the refrigerator for several hours, then it’s easier to cut. If you’ve used Parchment, you can simply lift that entire slab of Fudge right out of the pan! I trim the edges so that they are neat and straight. *If you dip your sharp knife into a bit of hot water first, you can easily cut the fudge. Clean off the knife if it gets built up with fudge, and start the process over until it’s all cut nicely. Store the Fudge in between layers of waxed paper in a well sealed tupperware type container. I keep mine in the fridge – It will stay perfect for several days. 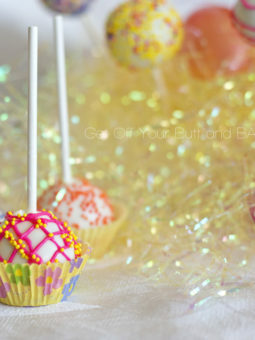 Continue Cooking to a soft ball stage, and Do not Stir: Use your Candy Thermometer. I cook mine to about 230 degrees. Every thermometer is different, so test yours, or do the cold water test. 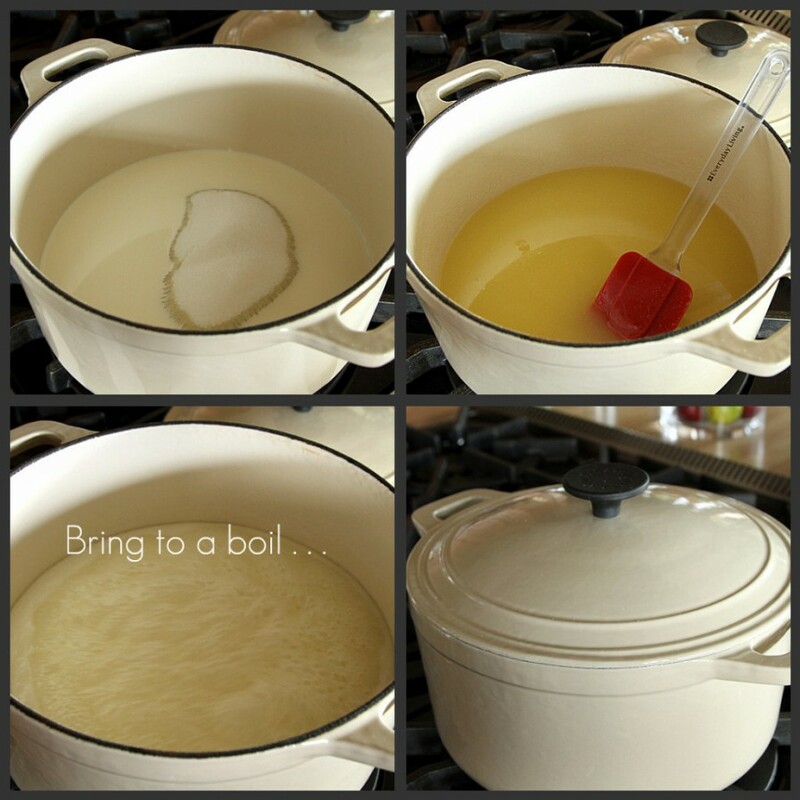 Take off the heat, and add 1 cup (2 sticks) of butter that you have cut up in chunks, and the vanilla…. let sit in the hot candy mixture for ONE minute – WITHOUT STIRRING! Now – Without scraping the pan, pour over 3 big (the 6.8 oz) symphony bars that you have broke up into a large bowl. Beat until very smooth with beaters. Pour into a greased 9×13 pan. Put in the fridge until nice and set up…preferably over night. *I line mine with parchment paper, that way you can lift the entire slab of fudge from the pan, and cut them easily. This fudge rarely turns to sugar, and is very creamy and smooth. Nuts are optional. Makes a large batch. Once cut, put in a container with a sealed lid, and keep refrigerated. YUM! Jonna, normally I agree with everything you say but with this one I have to disagree. (chocolate) Fudge is not the best! 🙂 LOL, this of course comes from a vanilla girl. Good fudge has always eluded me. I will try this one! light cream, heavy cream, half & half????? I use regular whipping cream or heavy whipping cream….either works perfectly! I betcha it’s still great…..less calories. It might not be quite as creamy though. I have used both, with great results! It might seem odd to you, but I never buy unsalted butter! I can’t believe I have only found this recipe now! I have been stalking your site for absolute ages and somehow missed it. :D So sad! I have a question:- Would using dark chocolate change the outcome, (Meaning creaminess, smoothness)of the fudge? I do love dark chocolate fudge! As long as you use a high quality chocolate it will work. The symphony results in a very creamy fudge. I’ve used Hershey bars, and it’s good but not as creamy smooth. I am looking for a silky smooth fudge recipe like you buy at the Confectionery Stores. I would like to give your recipe a try. Since I live in Australia and ingredients can be different, I would appreciate knowing the measurements in ounces or grams for the weight of the butter. I will work on that….promise. How could you adapt this for peanut butter? or chocolate with peanut butter swirl? I betcha that you could just blend it in with your mixer at the same time you pour everything over the chocolate. You might have to blend a little longer. I would try 1/3 cup…..let us all know! Yes, you can substitute another brand of Chocolate….Lindt would be fabulous! It doesn’t need to be refrigerated, and should ship very easily. All seems to go really well with this recipe until I get it in the blender then it seems to go to a texture where it does not stick to my rubber spatula so I put it on a bit longer then it went all lumpy? I have tried the recipe twice now and same thing but with different blenders. I am obviously blending too long to get it to the lumpy stage however should it not be at a stage where I stick my finger in and the mixture sticks to my finger, with mine I stick my finger in and the mix slides off. I am using a proper candy thermometer and taking it to soft ball then removing. Can you make any recommendations as to where I am going wrong? spread nicely into your buttered pan or parchment lined pan. Once you have it in your pan, cover it very well and let it set up in the fridge. I hope this helps…..cuz it’s delicious!!!! I’m sooooo glad you tried it again! It’s yummy, and easy and so delicious. I just made this for Thanksgiving. It is a HUGE batch, which is awesome. It was a hit and loved by everyone, including 4 year olds and 70 something year olds. I also packed a small box for my parents to take home and they were thrilled. I also froze half of it (it makes a lot!) and pulled it out of the freezer 4 days later for a potluck dessert and it was a fast-disappearing dessert, with lots of compliments. You will need three (6.8) bars.